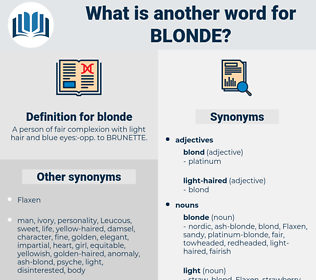 What is another word for blonde? 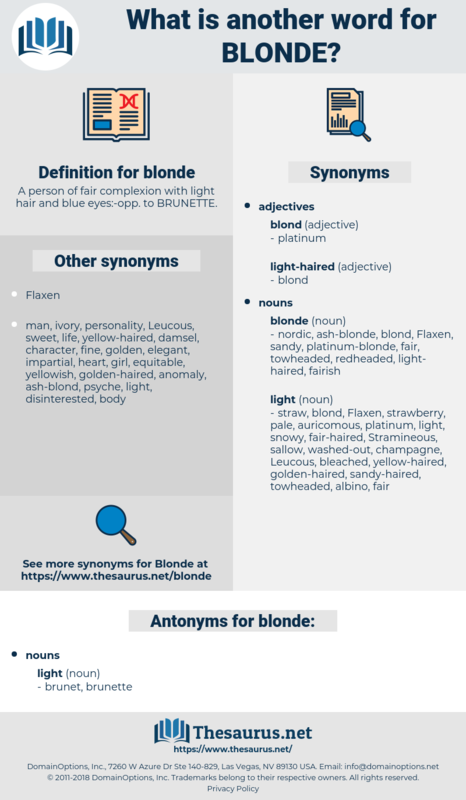 A person of fair complexion with light hair and blue eyes:- opp. to BRUNETTE. I'd pick the golden blonde, the second from the right. For a moment the vision of a thin blonde face, with its expression of sour discontent, rose before him.